Ensure your beautiful table setting is fit for your garden party and style it up with these simple tips and tricks. 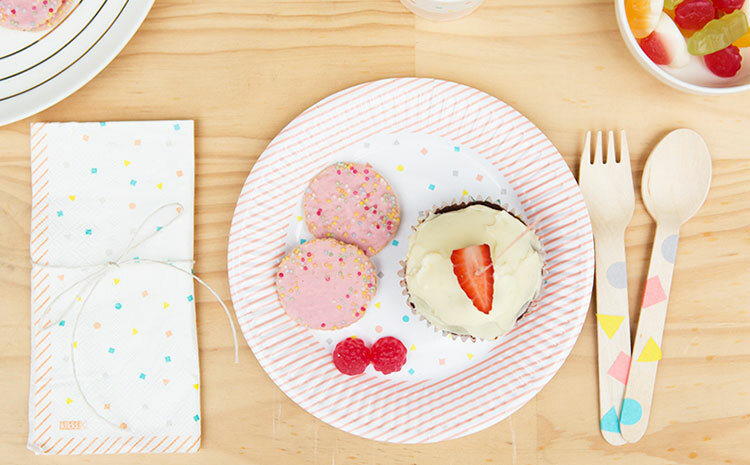 Create your own fun cutlery to add to your paper plates. 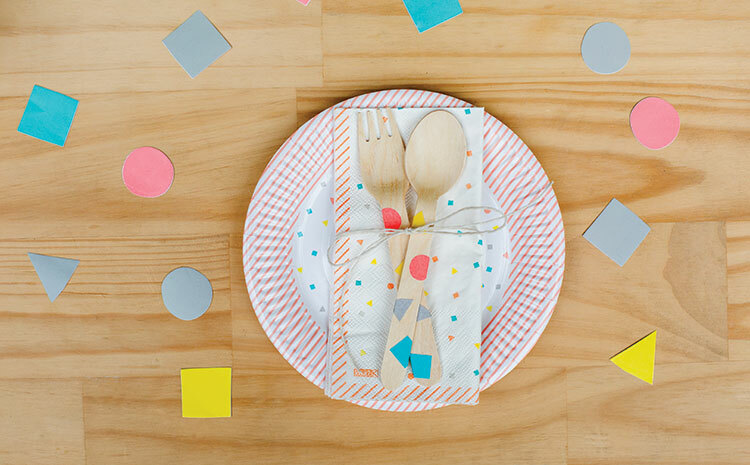 Simply add shaped stickers from your Confetti DIY Sticker Book to bamboo cutlery. Team each set with a Serviette and tie together with twine. Then place on top of your Paper Plates and set your Paper Cups and Paper Straws next to them too. Super sweet! 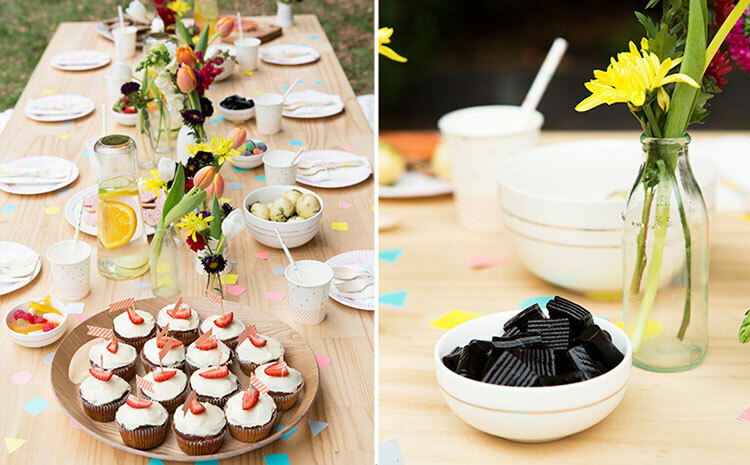 Colourful confetti is super easy to make and turns a simple spread into something special. Use your Printed Notepad (or Wrapping Paper) and simply holepunch to your heart’s content. 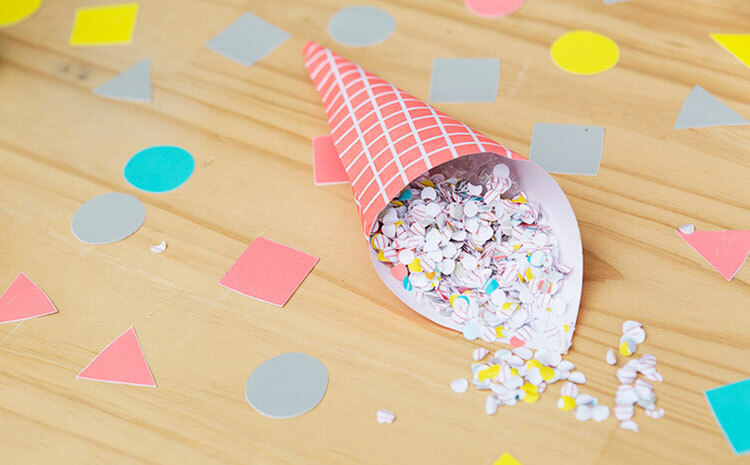 Sprinkle confetti along your centrepiece or place in cones for guests to sprinkle as they please. Flowers are a must at any garden party (or any celebration for that matter). Choose a combination of beautiful flowers in bright colours and add these to small vases spaced along the centre of the table. Add stickers from the DIY Sticker Book to vases to match back with your setting. 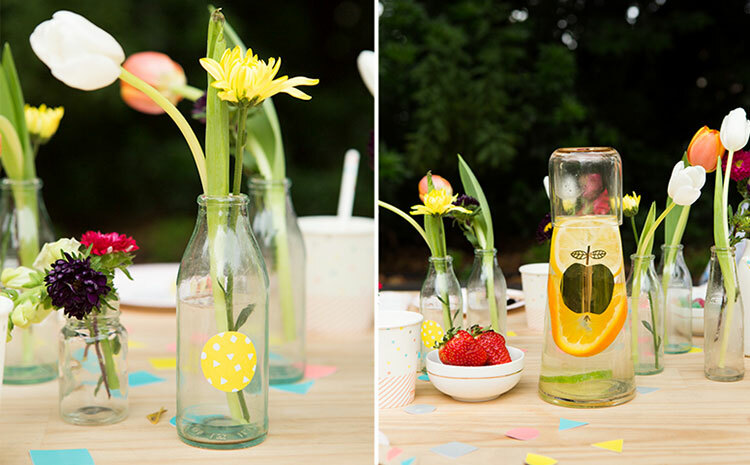 Tip: Serve water or drinks in beautiful Glass Water Bottles spaced out along your table for a stylish look. We love adding fresh fruit to water – it tastes great and the colour looks beautiful. Think slices of lemon, lime, orange, fresh berries, cucumber – anything you like! 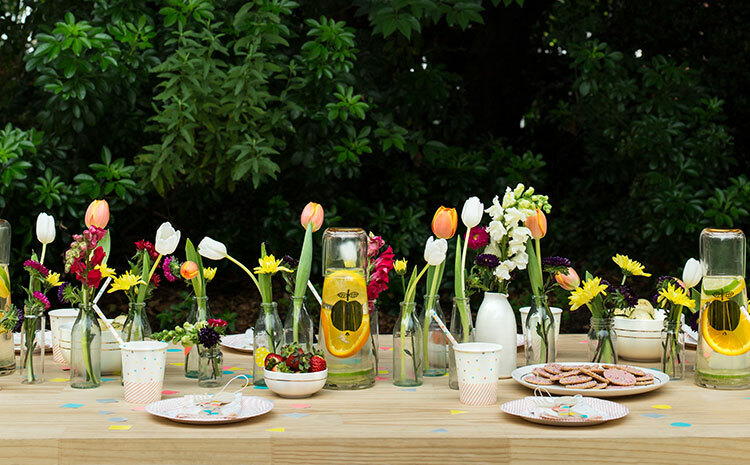 Shop the Confetti Collection online here and throw the perfect party today.